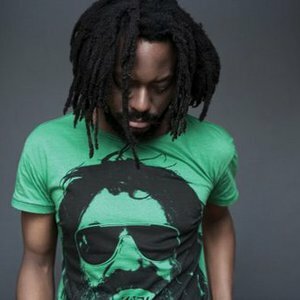 k-os (born Kevin Brereton on February 20, 1972 in Toronto, Ontario) is a Canadian rapper, singer, songwriter and record producer of Trinidadian descent. His real name may also be cited as Kheaven, a spelling he adopted later. The alias "k-os" is pronounced "chaos" and is an acronym for "Knowledge of Self," although in a later interview he also said that it stands for "Kheaven's Original Sound. The alias "k-os" is pronounced "chaos" and is an acronym for "Knowledge of Self," although in a later interview he also said that it stands for "Kheaven's Original Sound." His music incorporates a wide variety of music genres including but not limited to rap, funk, rock, and reggae. The lyrics frequently focus on promoting a "positive message" while at times expressing criticism of mainstream hip hop culture's obsession with money, fame and glorification of violence. A musician as well as a producer, k-os has written and produced a large portion of all four of his albums. k-os usually performs with a live band, something that is uncommon in the hip hop genre. He sometimes plays guitar and keyboard both during live performances and in the studio. k-os received his first musical exposure with the single "Musical Essence," released in 1993. After the release of his second single "Rise Like The Sun" in 1996 he withdrew from the industry because he was dissatisfied with his musical style. He reappeared briefly in 1999 and released his debut album Exit in 2002. The album received positive reviews but sold relatively few copies. He released his second album Joyful Rebellion in 2004, which received platinum status in Canada. Joyful Rebellion received positive reviews, but at times was criticized for speaking extensively on the state of hip hop. k-os's third album, Atlantis: Hymns for Disco, was released in 2006, and his fourth album entitled Yes! was released in April of 2009.